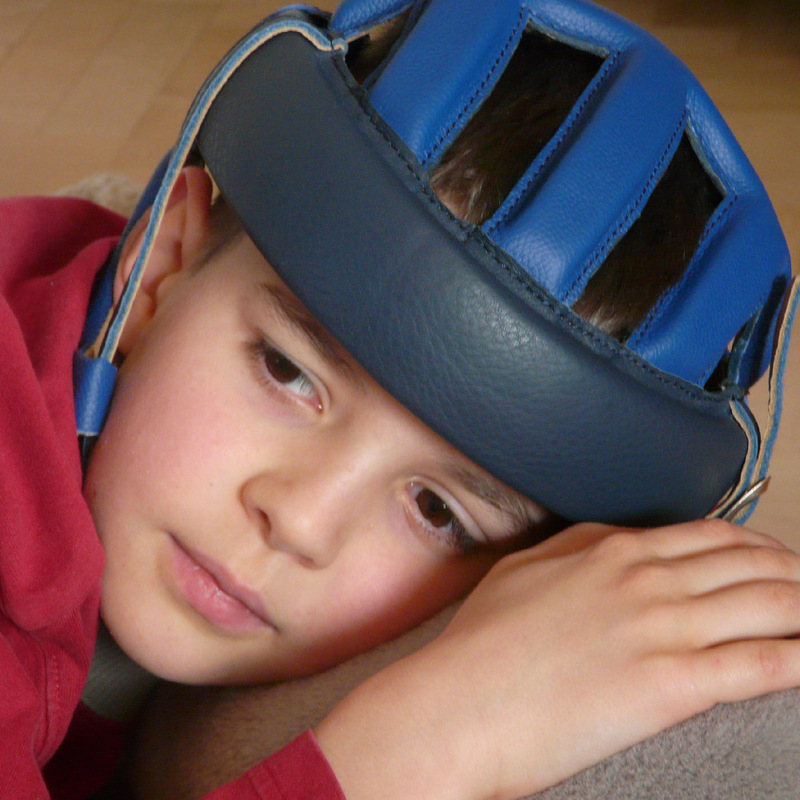 We are pleased to offer a new exciting range of special needs helmets from ATO Form gmbh. For more than 30 years, ATO Form gmbh is known for giving professional/competitive advice and its excellent knowledge/experience as a specialist of rehabilitation and orthopedic aids, especially in the field of children rehabilitation. Very soft yarn for highest wearing comfort. Toxic proof tanned full-grain leather. Slightly perforated and roughened leather lining for an excellent micro climate. Nickel free fasteners Development, manufacturing and quality. Please refer to the helmet brochure for further details regarding this large range of helmets.